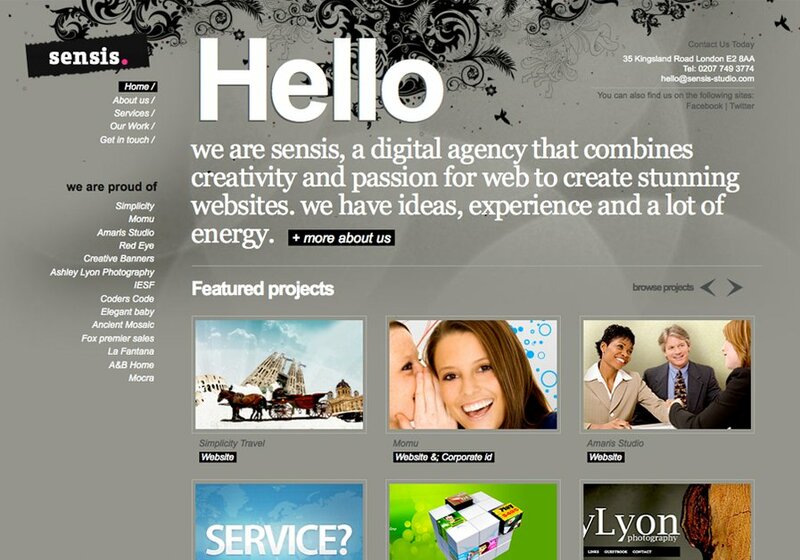 Sensis creates websites for small businesses and individuals to help them make the right first impact on their potential prospects. We are based in London (Old Street) and specialise in creating visually appealing websites, custom Wordpress Themes, Content Management Systems, web based applications, flash websites, e-commerce and more. Contact us today to find out how we can help you to get the website that will bring the right ROI for your business.